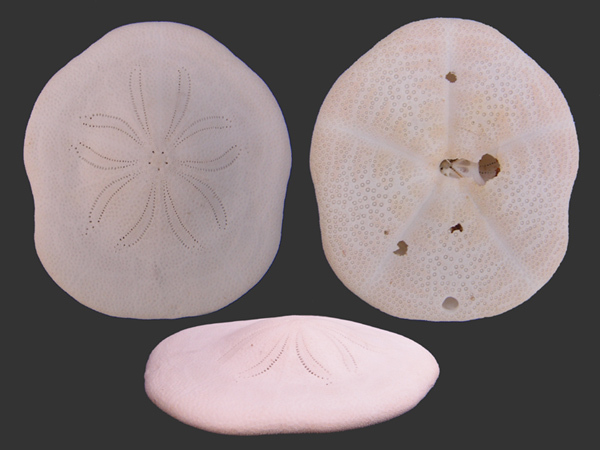 Recently I got some Clypeaster species from the Philippines and I remarked some differences in the shape of the petals. 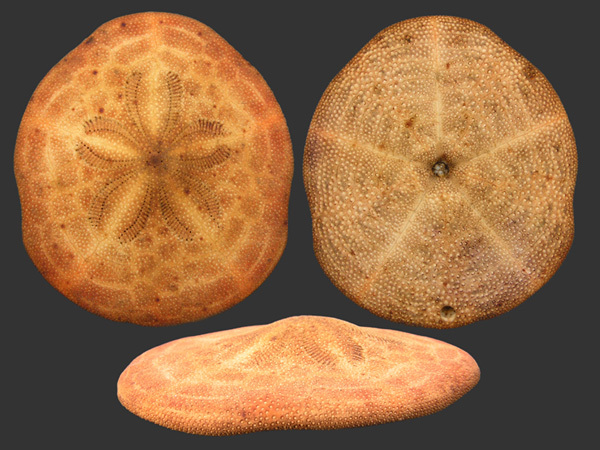 In a "normal" Clypeaster virescens the petals except the anterior petal are inwardly bend and nearly closed . In the upper samples the petals are yet inwardly bend, but in a minor degree. Finally in the third sample they are nearly parallel distally and thus wide open (I hope to get another specimen for cleaning). 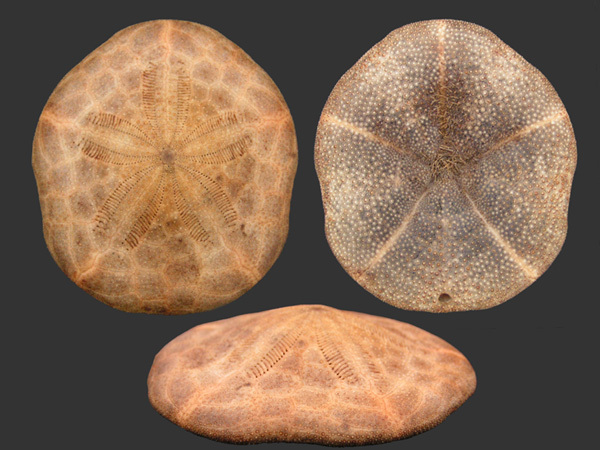 My question is, if all these different features are in the range of Clypeaster virescens or if there are sub-species, other known species or even undescribed species? The sort of question you pose can really only be answered by undertaking a proper biometric analysis of a population or two  something that I don’t think anyone has done yet for that species  or indeed for any extant Clypeaster. I’m afraid I simply don’t know. Faced with this problem in fossil species I take a population from one horizon and establish the range of variability through bivariate plots. Maybe someone someday will do the same for modern Clypeasters.